Just Harvest is always working to support or oppose bills in the Pennsylvania General Assembly and the U.S. Congress that would significantly affect hunger in Allegheny County if they became law. Further down this page you’ll find the current slate of bills we are following. For a bill to become law each legislative chamber must pass it. 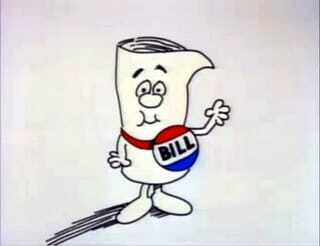 (Bills are titled “SB” and “HB” in State Senate and House; “S” and “HR” in U.S. Senate and House.) State bills must be signed by Governor Wolf (D), federal bills by President Trump (R). If the governor or president veto a bill it cannot become law unless 2/3 of the legislators in each chamber then vote to override the veto. Republicans have held the majority in both chambers of Congress since 2015 and the PA General Assembly since 2011. Bill Name S.B. H.B. S. H.R. *Number of votes required to pass a bill or override a veto depends on total number of legislators voting at that time. Concerned about the bills below? Want to join us on a future lobbying visit to your legislator to speak your mind? Sign up here. No experience required. Note: The bills Just Harvest supports are shaded green; those we oppose are red. They are otherwise in no particular order. If you’ve visited this page before, you may need to clear your browser cache/browsing data to see recent updates to this spreadsheet. * These legislators represent districts that are at least partially in Allegheny County.